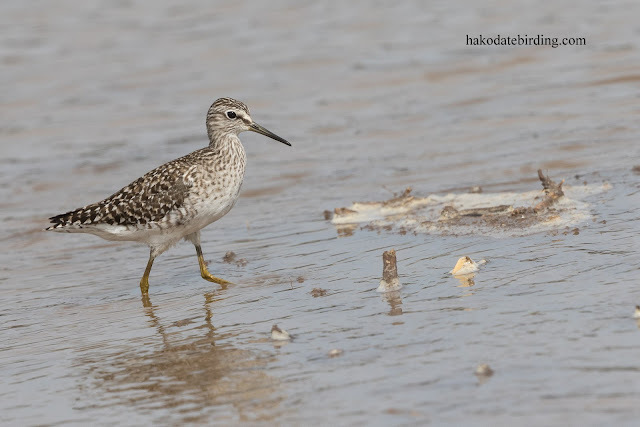 It was with 8 or 9 Wood Sandpipers. 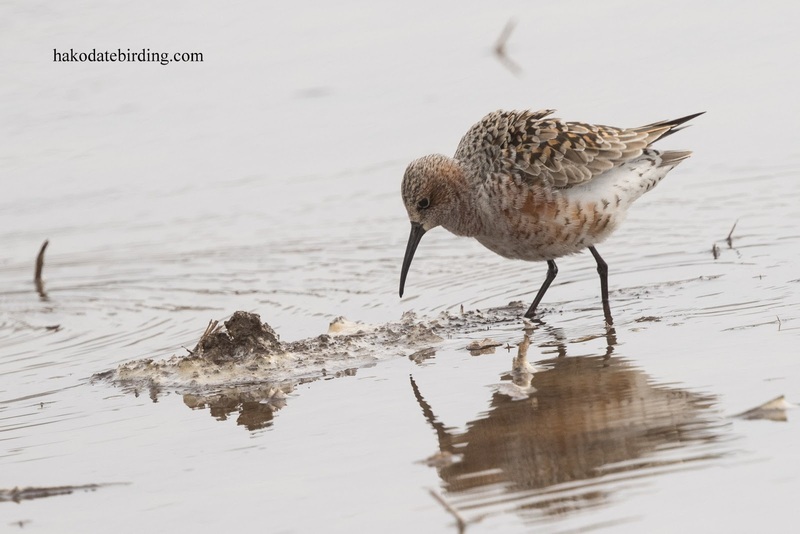 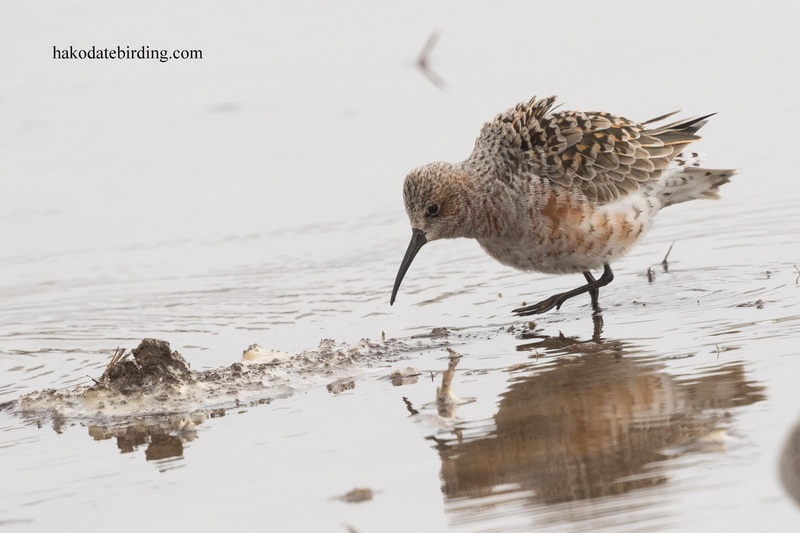 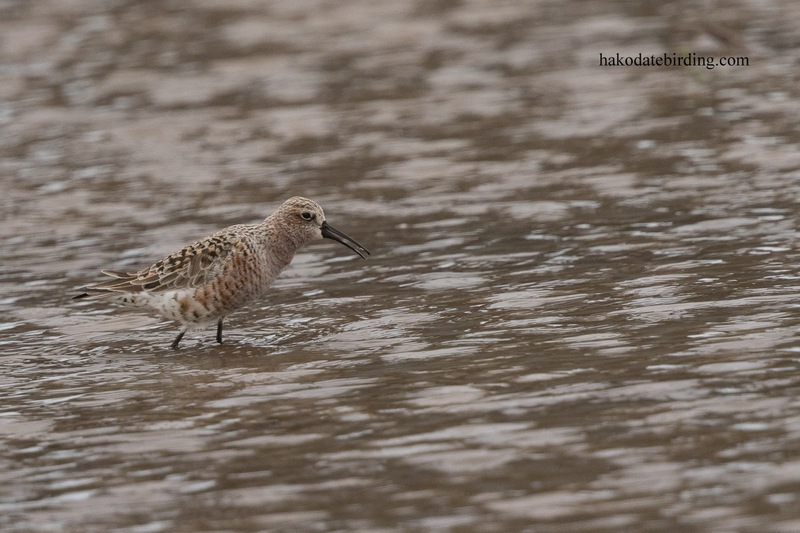 Curlew Sandpiper is extremely rare here and almost never in breeding plumage. 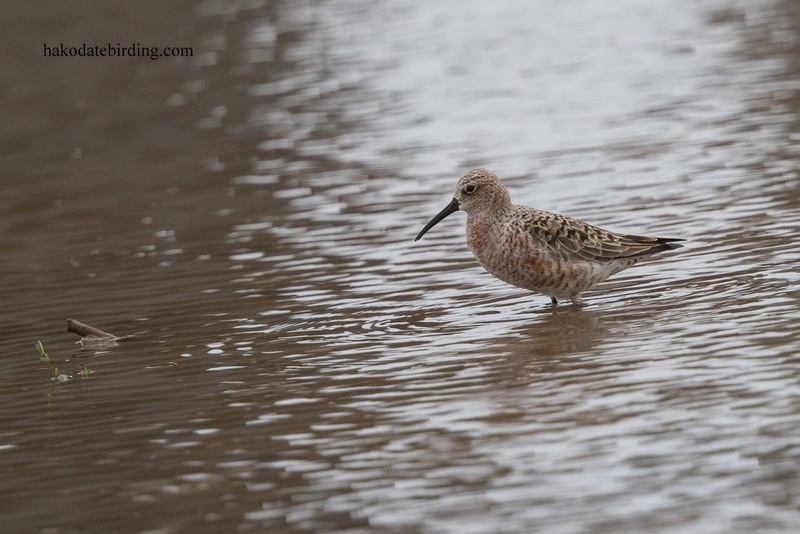 Before this one I'd only ever seen them in autumn, either juveniles or adults in winter plumage. A very keen eye, Stu and very well photographed. 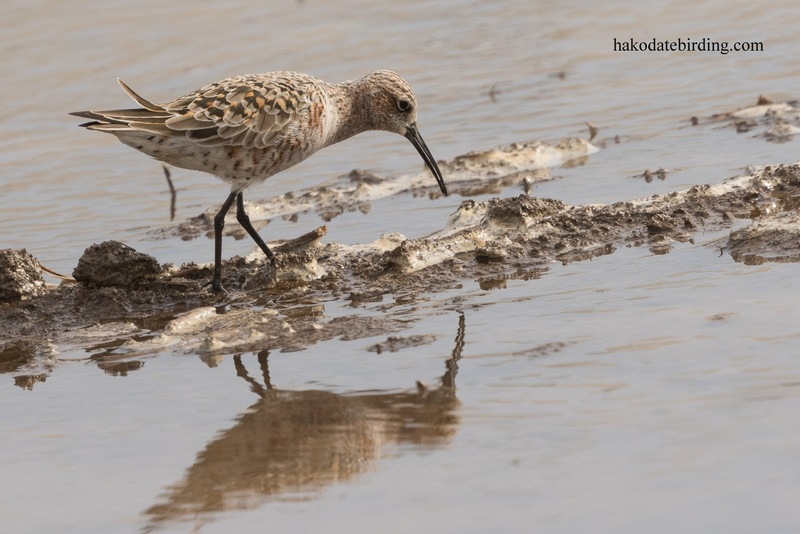 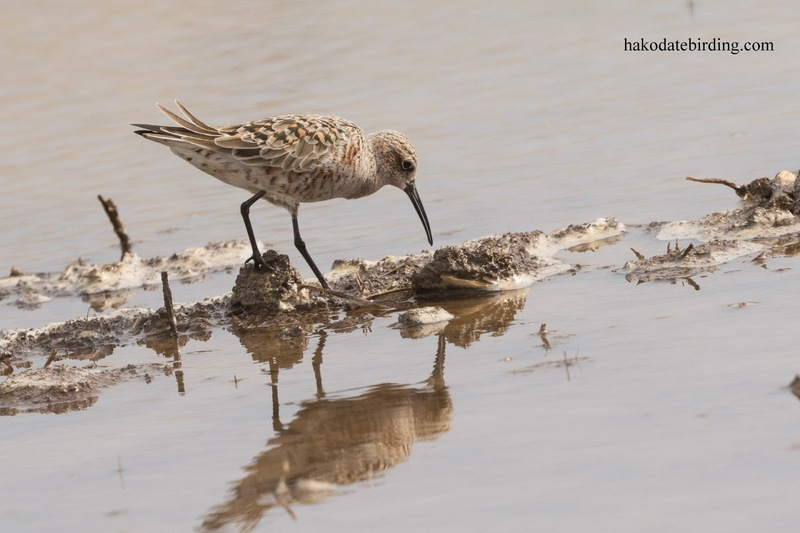 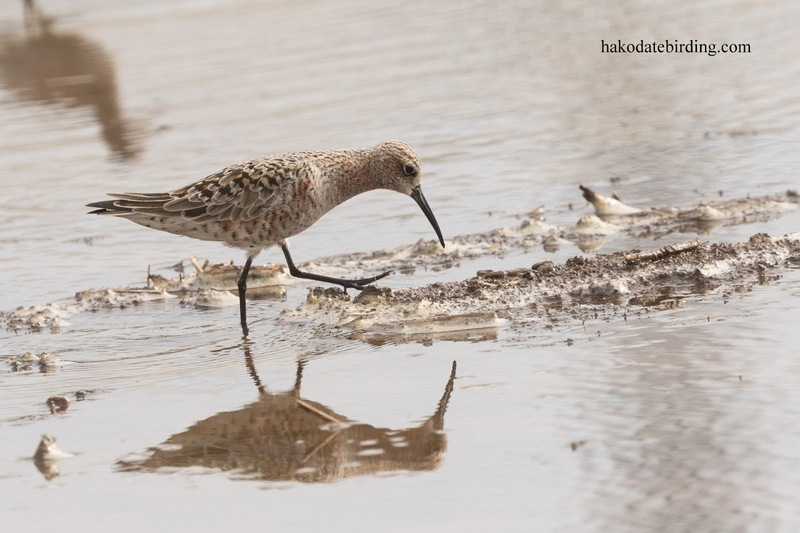 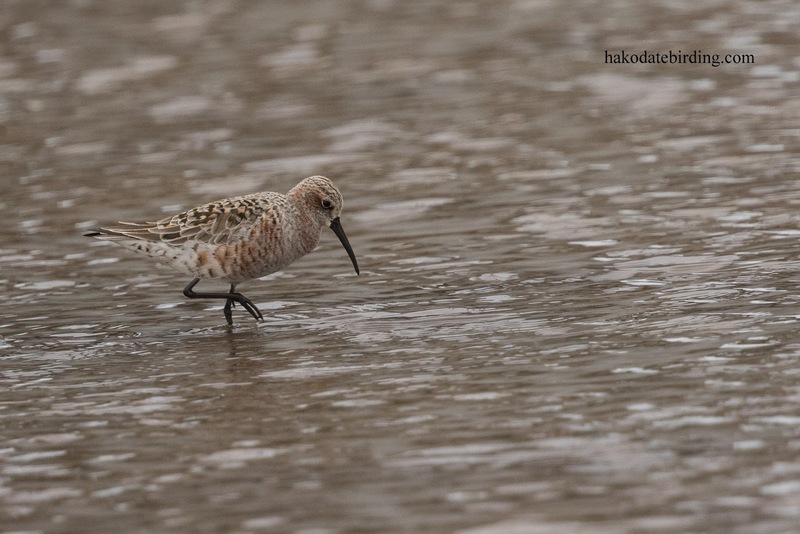 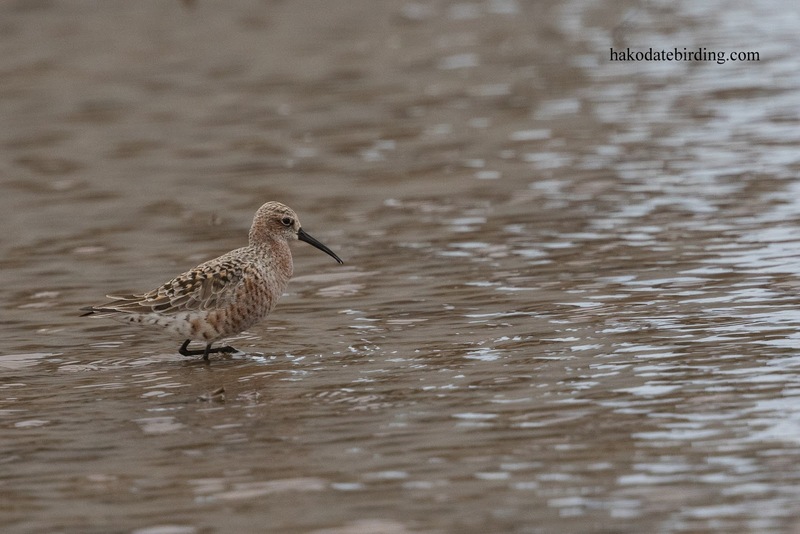 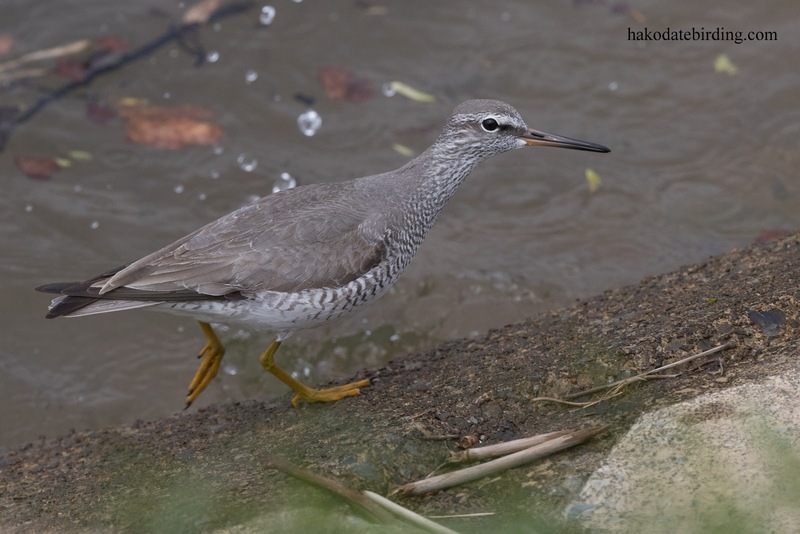 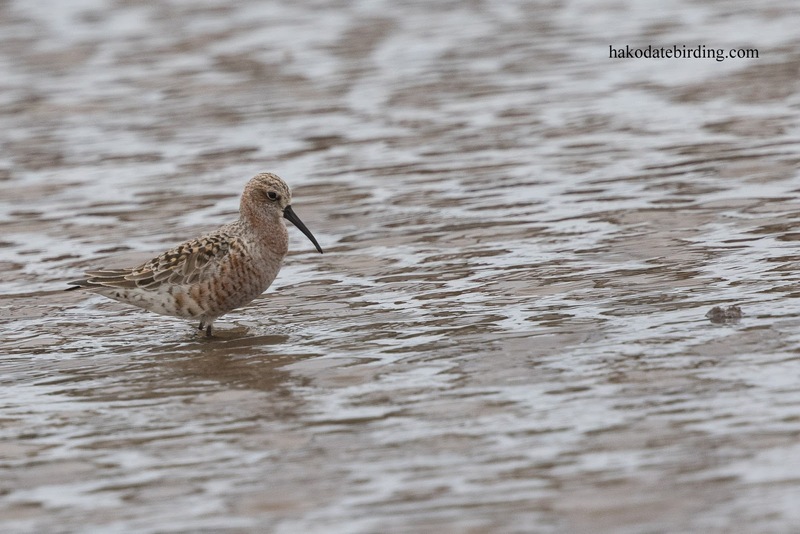 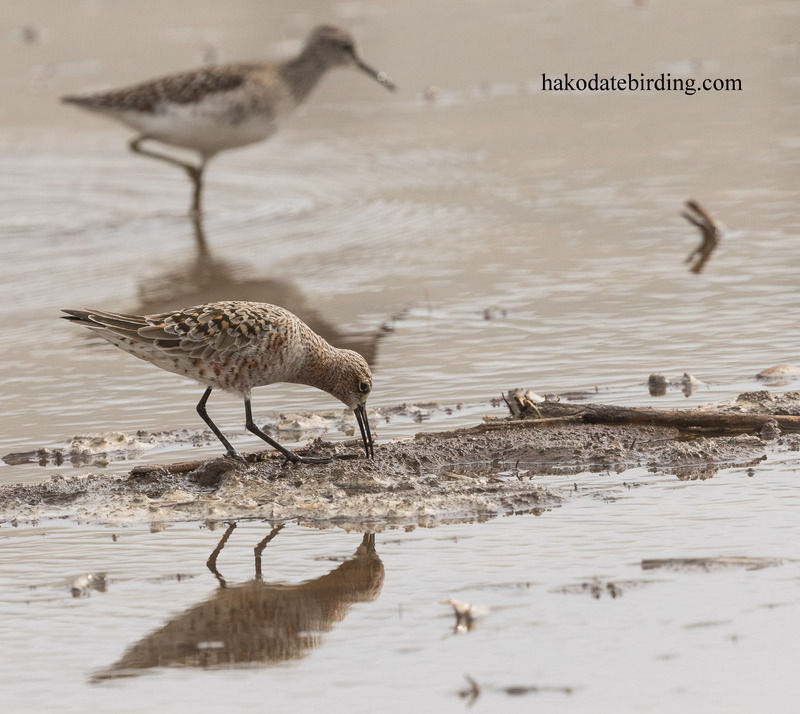 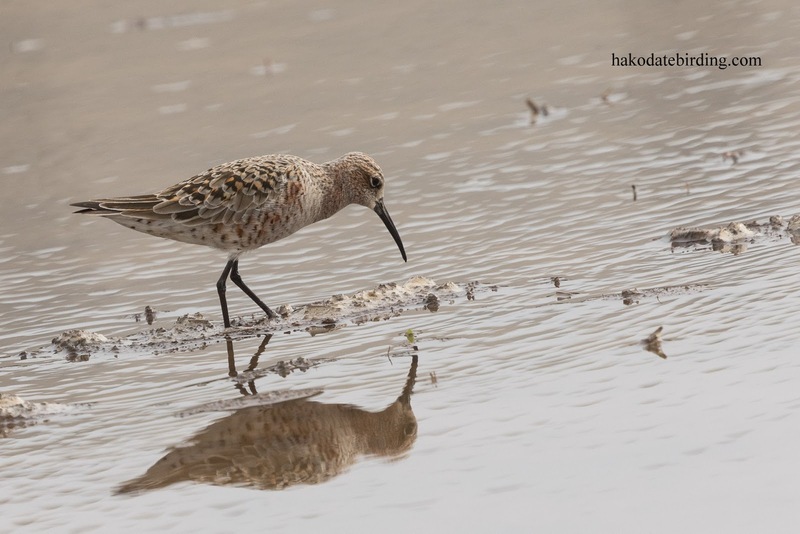 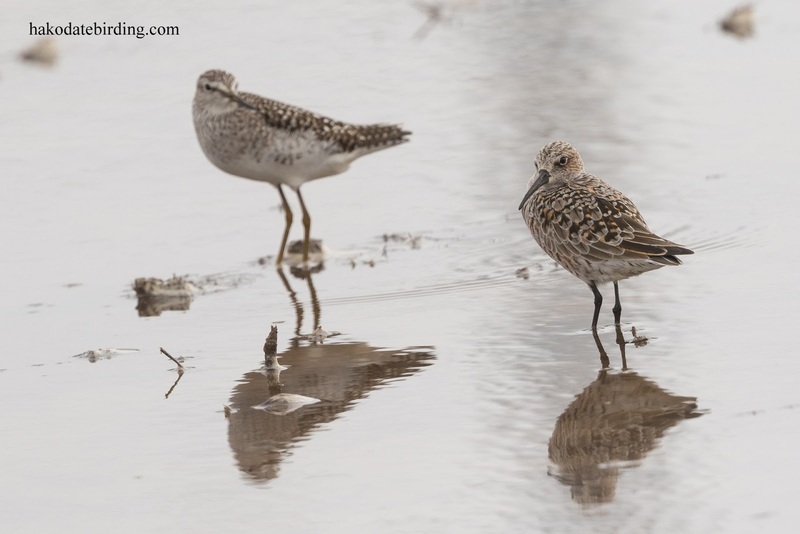 Thtat's very surprising how scrarce the Curlew Sand is in Japan when it is seemingly common north and south of you? Even in the Uk I would decribe it as "uncommon but regular".